This is good news for state sector. Recognizing your service with Upahara, yet again. 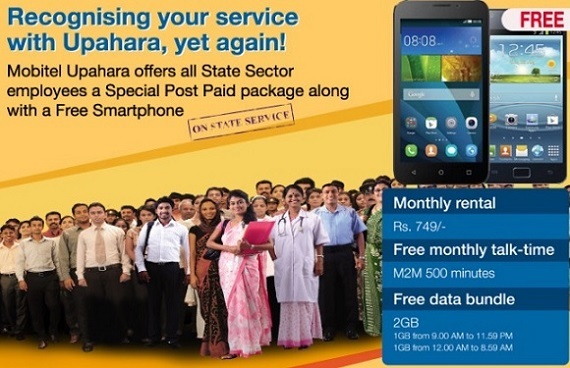 Mobitel Upahara offers all state sector employees a special post paid package along with a free smartphone. Mobitel new Upahara offers 500 Mobitel to Mobitel free minutes and 2GB data for just Rs 749.00 + Tax monthly.